Ginza, the glory and glamour of Tokyo. There are many superlatives to describe this district. It’s the old core of Tokyo, which has maintained its position as one of the most important centers in the capital city. It is here you will find Tokyo’s Main Street: Chuō-dōri. Forget about Shinjuku or Shibuya, this is Tokyo’s downtown. Famous for upscale shopping and dining. Ginza became a model of Japan’s modernization after centuries of Shogun rule. Not only the streets were modeled on a western design, also most of buildings since the end of the 19th century were developed using western styles. It was in Ginza that many the first brick buildings appeared. This western appearance has made it a rather unpopular sightseeing destination for tourists who have no interest in seeing straight streets and brick buildings, but rather look for traditional Japanese architecture and design. The only reason to come here is shopping. I must confess I had the same idea. Ginza for me was synonym to shopping for famous brands and a magnet for Chinese tourists, who come to Tokyo over the weekend to make sure they do not get cheated buying overly expensive items in their home country. 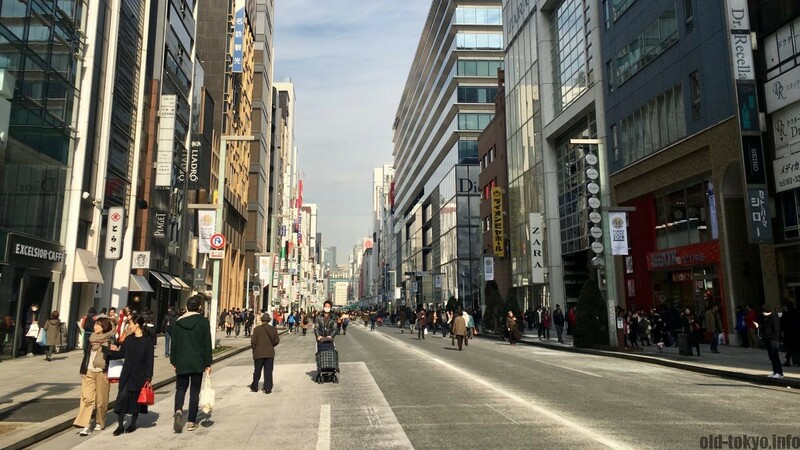 That being said, Ginza has re-emerged as some sort of vintage town over the last decade with Taishō-style (1912-1926) and Shōwa-style (1926-1989) shops, cafes, restaurants and more. The style of just 50 years ago has now become noteworthy and even fashionable. Tokyo’s true central point is Edo castle (now the Imperial Palace), but in more practical terms it has been Nihombashi for over 400 years, just east of Edo Castle, where the people lived and the heart of commercial Edo was located. Even today Nihombashi is still the starting point for Japan’s national highway network. All roads lead to Nihombashi, since 1603. 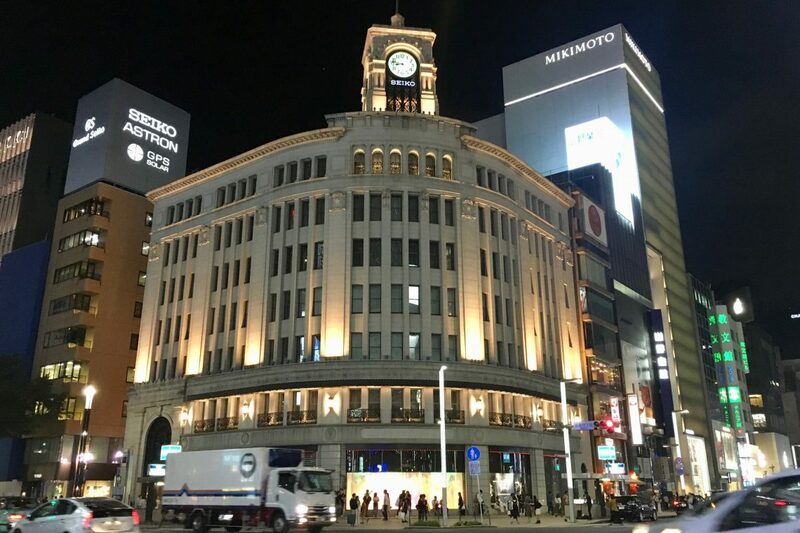 However, at the end of the 19th century things moved a little southward to Ginza that was located in between Nihombashi and the newly built Shimbashi Station, Tokyo’s first railway terminal that opened in 1872 (this was before Tokyo Station opened in 1914). Ginza’s prominence made it Tokyo’s true centre since the start of the 20th century. According to Edward Seidensticker in his book “Low City, High City” (1983), almost anyone in those days, asked to identify the city centre of Tokyo, would answer the Ginza crossing as the very centre of the city. The growth of the large centres since mid-20th century to the west like Shinjuku have made it sometimes less clear where Tokyo’s true city centre is nowadays, but somehow Ginza has stuck in many peoples’ mind as the city’s primary core, and while other cores on the east have lost luster, Ginza has kept its position. Ginza’s main corridor, Chuō-dōri (literally central street), runs from Nihombashi to Shimbashi. This axis was one of the most important in Tokyo during the late 19th and early 20th century, bringing the goods from Yokohama and beyond to Nihombashi thanks to Shimbashi Station. The Yokohama-Tokyo railroad brought anything coming in from abroad through the Yokohama harbour right to Ginza. Parallel to Chuō-dōri runs Shōwa-dōri to the east and many more smaller streets run parallel to these streets. The department stores on the Hibiya side continue with Marui, Lumine and Hibiya midtown. Now I hear you think “Department stores, is that all Ginza has to offer?!”. The answer is undeniably that department stores form an essential part of Ginza life. Ginza is foremost a shopping district, not just for upscale goods, but also for many regional antenna shops (shops where you can buy goods from specific regions, such as one shop with only food items from Hokkaido). Ginza eagerly embraced new things coming into the city. The old buildings were demolished during the late 19th century and replaced with brick buildings, giving it an atmosphere of renewal and modernity. No longer was it a silver mint for the shogunate (Ginza means literally silver seat), but attracting artists and anyone who wanted to take Japan to the modern age. In 1882 arc lights were introduced turning Ginza into a nightlife hotspot. 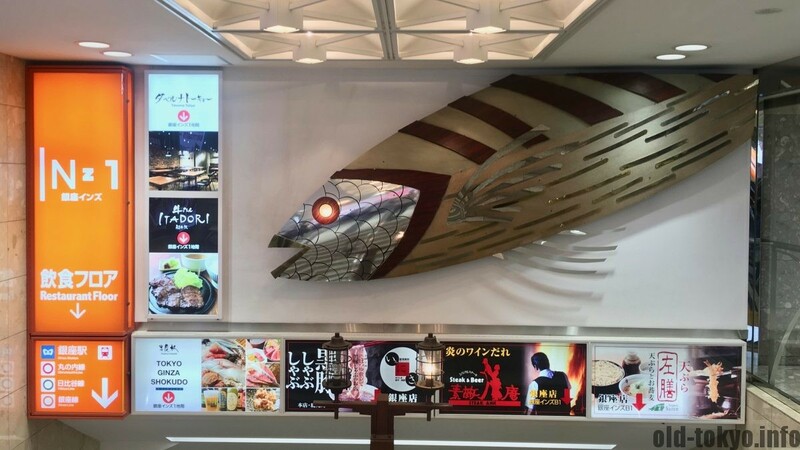 Ginza pioneered with many new western-style concepts such as the the beer hall and the cafe. Cafe means in this context: female company included in the price; these cafes were later transformed into expensive bars. 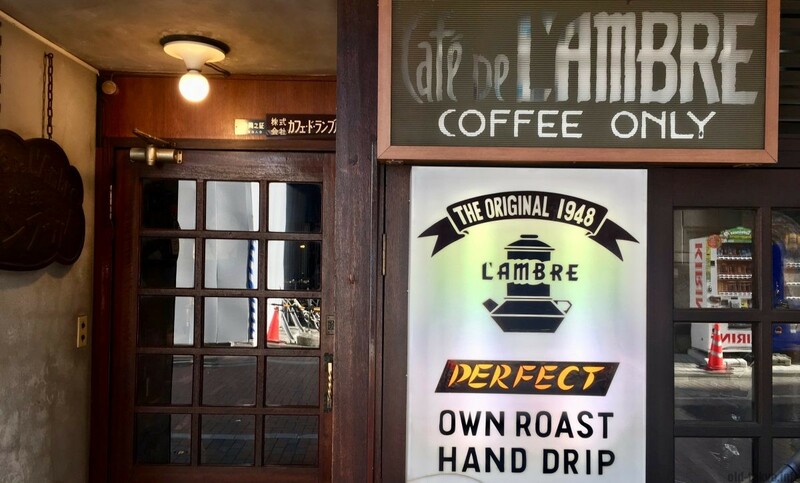 This cafe culture flourished after the 1923 earthquake, but was not for the ordinary salarymen. For them, and also for poor students, the kissaten appeared where the hostess took on the form of the more familiar waitress. While the old cafes are no longer in business, several old kissaten are still around for a visit such as Cafe Paulista or Tricolore Cafe (see map at the bottom of this article). The evening life in Ginza these days is centred next to the Yamanote tracks on the western side of Ginza, blending into Yurakucho and Shimbashi. The street along the tracks, called corridor-gai, is one of the most busy you can find in Tokyo at night and is one of the primary spots in Tokyo for office workers to hook up. Shopping was also one of these new activities in which Ginza excelled, and still does. While most of the Tokyo centres are all one big shopping paradise, Ginza takes it one step further by providing the most impressive shopping experience. 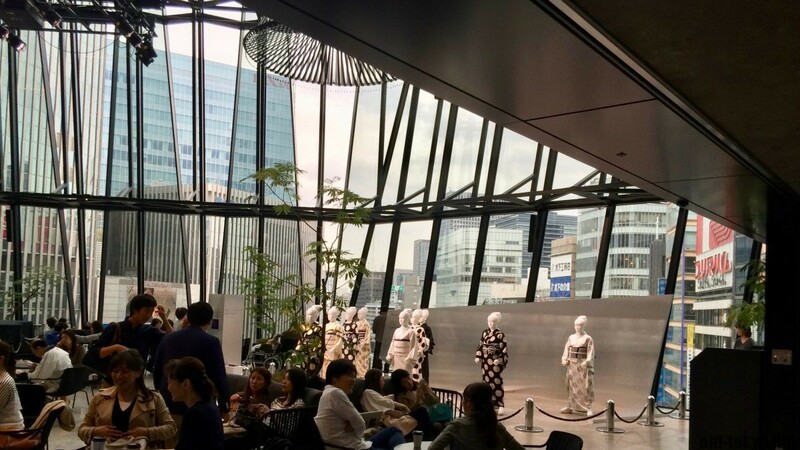 The roof garden of Ginza Six and the Kiriko Lounge in Tokyu Plaza are just 2 examples in how Ginza stands out against other shopping areas.